Ideal for small to medium gardens or allotments. Waters up to 25m of veg patch or flower beds. Quick and easy to set up. Connects directly to the outlet tube from the control unit an.. Ideal for small to medium gardens or allotments. 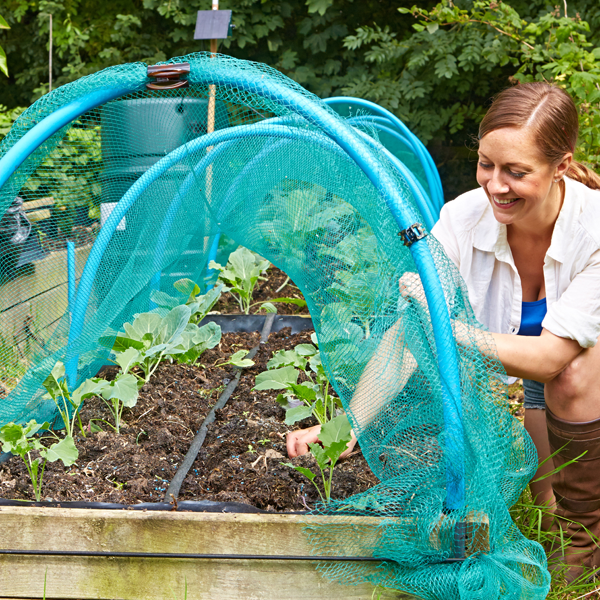 Waters up to 25m of veg patch or flower beds. Quick and easy to set up. Connects directly to the outlet tube from the control unit and can be laid in up to a single 25 length. 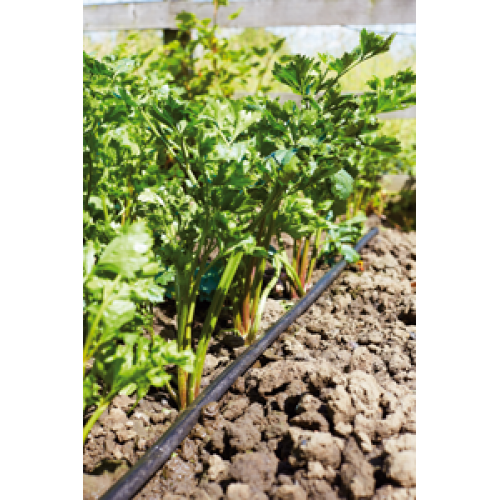 Water seeps evenly along the length of the Micro-Porous Hose during watering sessions. Should be laid reasonably flat. 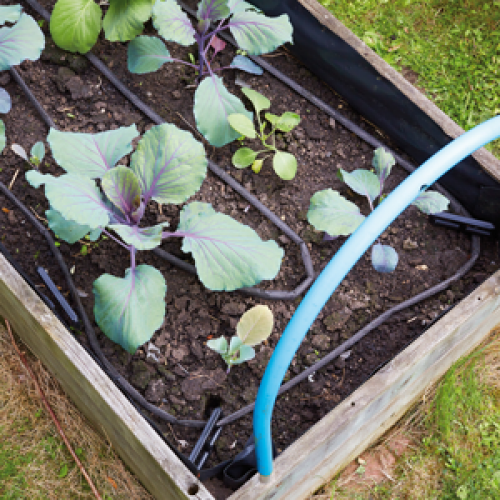 This is used INSTEAD of drippers - each 1m length uses 1 Irrigation Unit (IU) - drippers can be on the same system eg for a C24 you could have 12 drippers and 12m of microporous hose. Durable heavy duty Micro-Porous Hose with Dupont™ Tyvek® internal core and protective jacket. Sometimes called leaky hose or soaker hose. Includes 25m Micro-Porous Hose, 2 adaptors, 2 Connectors, 2 lengths connector pipe, 2 O rings, 2 cable ties, 6 stakes.